Relationships…….they can be crazy right? They can be so full of love and butterflies and fun times but on the flip side it can be stressful and frustrating. In both cases relationships take a lot of work from both parties. I feel that at every stage in the relationship you should be asking yourself, “what am I getting out of this?” In the beginning dating stages you should have some type of goal of what you want and where you see things going. First I feel it should be determined if you are looking for short-term or long-term and you want to make sure that the other person is on the same page. When things are new and fresh you may be getting everything your want out of your relationship. Quality time, love, special attention, you know, the basics lol! And that could just enough for you to be fulfilled but as you move further into the relationship you have to start paying attention things and asking questions. Do you notice growth as time goes on? Has this person become someone who you can depend on and vice versa? As you grow, your partner should be growing to. You should both be working towards something together and individually. For example, if you meet someone who was 21 at the time and they are still engaging in the same activities 4 years later that they did when they were 21, that person is ok with where they are and you have to make a decision if you want to stick around and keep waiting for them to grow(which may or may not happen) or move on. If you’ve been with someone for at least 5 years and you know that marriage is something that you want and you don’t see that person working towards marriage then it is time to move on. If after so long of being with somebody you should be able to go to them in times of need and not have to run to anybody else. As women, ultimately you always want to make sure that you are capable of taking care of yourself but sometimes things do get hard but if you have a real man in your life you should be able to call him for what ever you need, no questions asked. In even better cases things shouldn’t get hard because that man will make sure it won’t. Love is beautiful but if you are on the way to eviction but your man is always popping new tags, its time to reevaluate and think, “what am I getting out of this?” You have to look at what is more valuable to you and your partner and it’s not all about finance or how much money one may have over the other. It is absolutely nothing wrong with having nice things and buying nice things for each other, however, if I know that my partner has something financially important that needs to be done, I’d rather take a home cooked meal and some dollar store balloons over an expensive necklace any day. It’s all about the thought and presentation for me. I believe in building what we have now so that we can appreciate the extravagant luxuries in the future. I also believe that harder you both work towards it, the sooner it will manifest. But again its all about what’s valuable to you. Some people truly feel that in order to feel like they are working for something they have some type of luxury, and that’s great, but not at the expense of my lights being turned off. I’d rather have all my bills paid and try to save the rest for future, bigger things. Being in a relationship with someone who lives for the right now, it can be hard to get them to understand this. When the perspectives are different, even though both are valid, it may not work out, and that’s fine. But try to determine this before it’s too late and make sure to be clear and up front about what you are looking for because no matter what the ultimate goal may be you don’t want to waste time because whether you are a person who wants to live each day like its your last or someone who wants to plan for a future, you will never get that time back. No matter which category you fall under, you have to ask yourself, “what am I getting of this?” On the other hand you could choose to accept that person for who they are. You may not ever see eye to eye about certain things but again you have to determine what’s important to you. Only you know that answer. Relationships are work and there are ways to learn your partner as they learn you and figure out ways to keep each other happy. 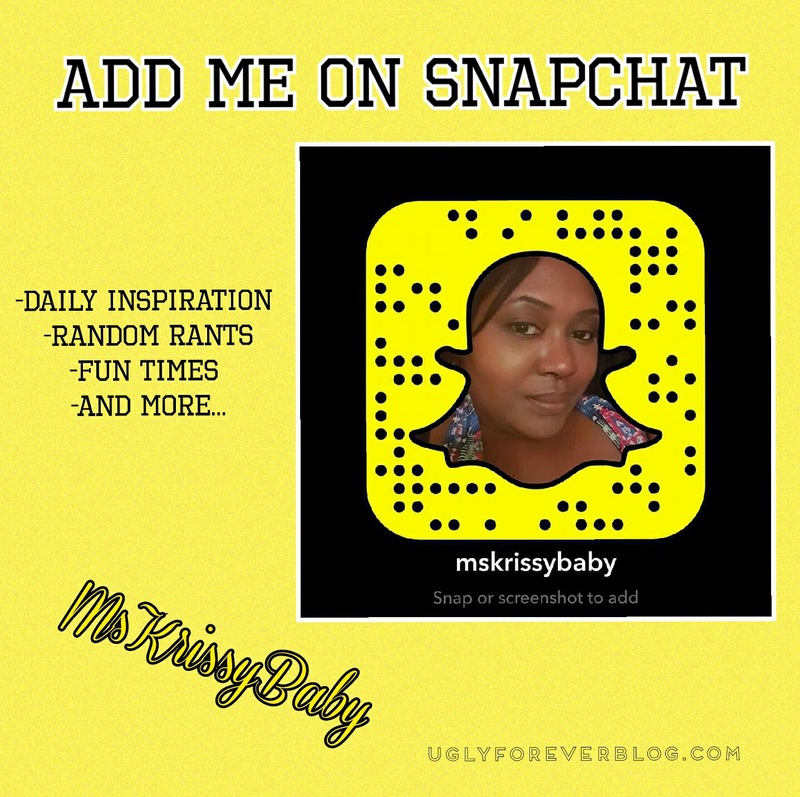 Posted in Feel It Fridays - Random Posts.Tagged Feel It Friday, Love Yourself, Motivational, Random, Relationships 101, Self Esteem, Self Love, UGLYForever. Previous Post Detox…It’s not just for the Body….